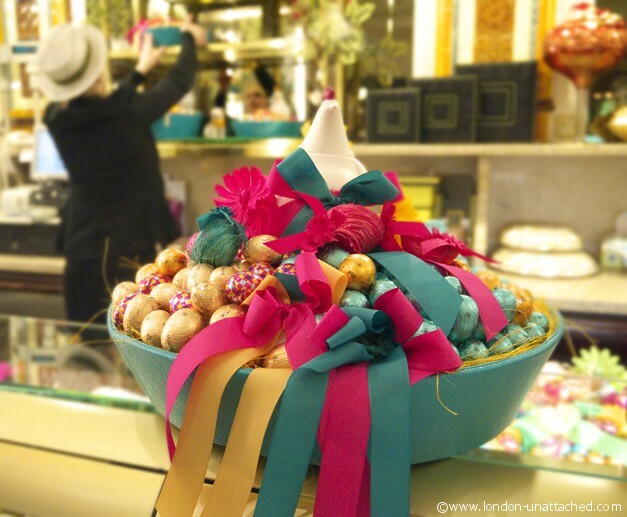 Who wouldn’t accept an invitation to sample chocolates at Harrods? I have to admit, I hadn’t heard of Patchi Chocolates, but as a rule, any brand with a concession in Harrods is going to be high quality. So, along I went, into the food hall to the all too tempting chocolate section. Wandering in there just before Easter was probably not the best idea…everything just looked beautiful. The Patchi concession was particularly pretty, with nests of eggs, stunning displays of chocolates and arrangements that would grace any five star hotel. Patchi chocolates are from the Lebanon and what makes them unique is that not only are they wonderful to eat, but they are all beautifully wrapped in heavy silver and gold foil and presented in elegant cases or display baskets. These are the sort of chocolates you might have already experienced if you stayed in an expensive hotel. There are some filled with praline, others are layers of wafers coated in melted chocolate. 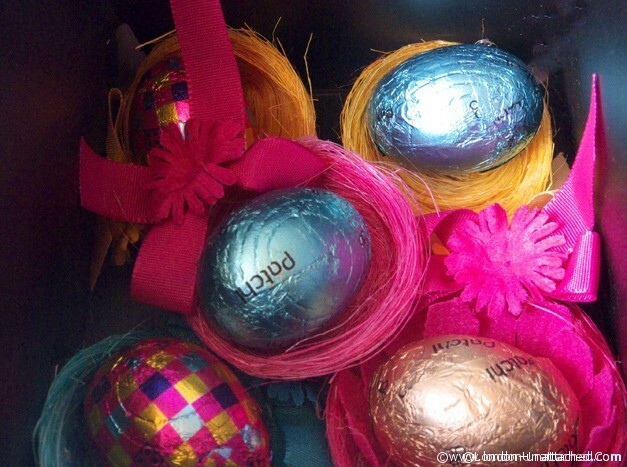 And, just in time for easter, these perfect little easter eggs, each in their own nests. What I particularly liked about Patchi was that although these were beautiful and luxurious chocolates, you could buy individual pieces. Of course every holiday has its own special set of creations. 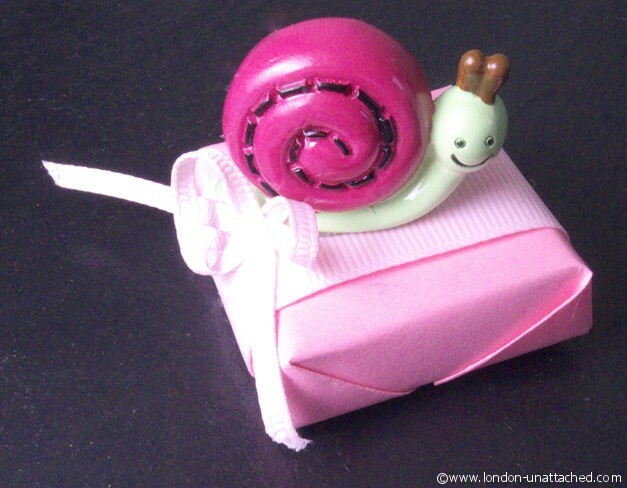 But, there are also a range of beautiful, cute and striking chocolates that in their own right would make a great token gift or addition to a wedding favour or place setting. 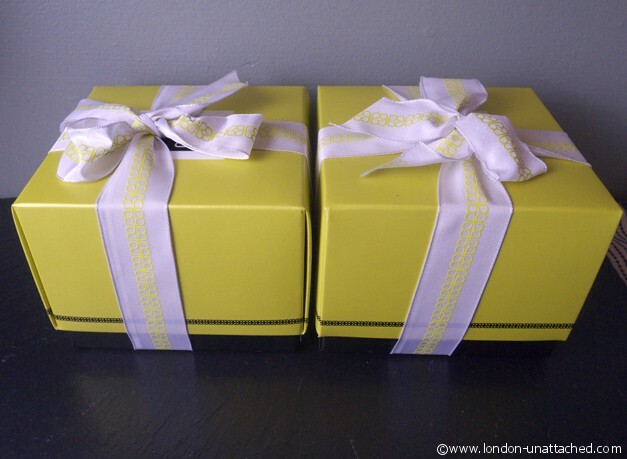 Patchi chocolates are exclusively available in the UK through Harrods. So if you are planning a wedding, a special anniversary party or simply want to present someone with an exclusive and unique chocolate creation, why not pop along and talk to Patchi about how they can help you. I think you need to go into Harrods. You might find they can help if you call the store. Lebanese ..how pretty they are. The shiny foil wrappers are special. 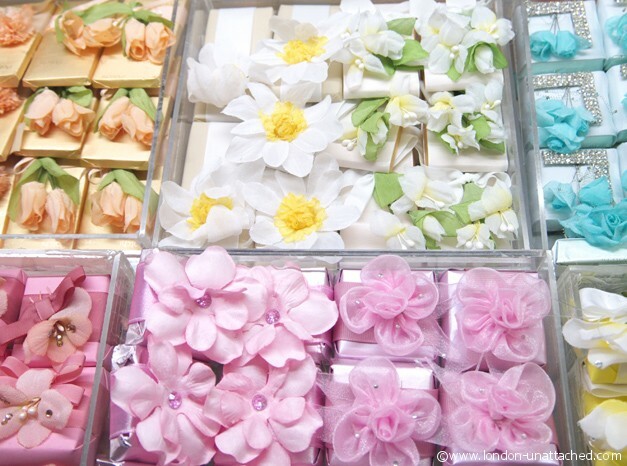 They are perfect ‘event’ chocolates – beautifully wrapped so that they won’t spoil if the weather is good and decorated with style. And the chocolate is actually very good!